7pm Reception / 8pm Performance. 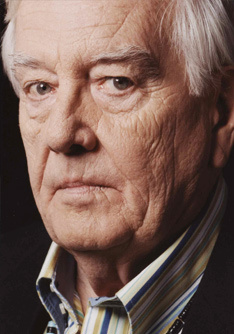 Robert Ashley, renown for his work in contemporary opera, has been noted as one of the most revered composers and performers of our time. In April of 2012, he completed his residency at Roulette with an adaptation of his latest opera, The Old Man Lives in Concrete. We are happy to welcome Ashley back this October to perform a unique piece for a limited audience in the gorgeous setting of Roulette’s Art-Deco theater. Roulette’s membership program provides a wide range of benefits as a thank you for sustaining the organization. We offer a variety of discounts and perks including free and reduced admission for members and guests, invitations to Members Only events, lectures, previews and much more. Below find details about our different membership levels. Visit our MEMBERSHIP PAGE or call (917) 267-0368 for more information on our membership plans and benefits. Join the Roulette family. Become a member today.